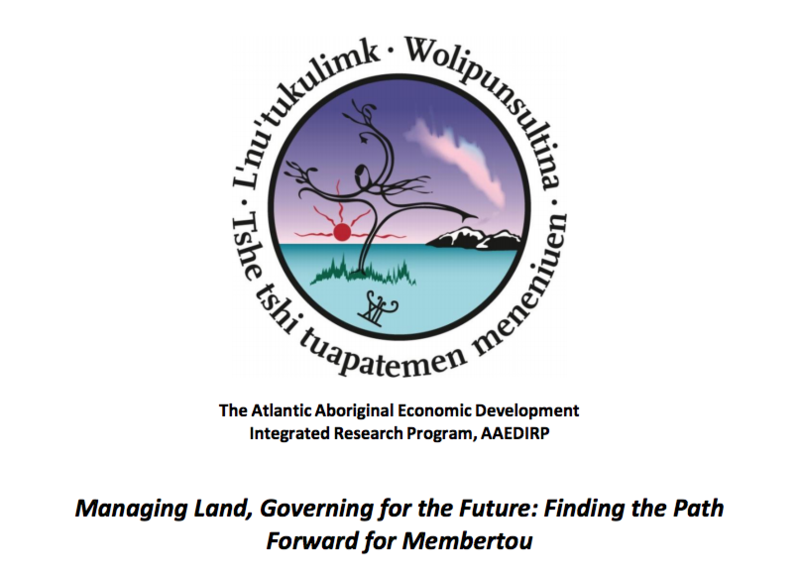 This in-depth, interview-based study was commissioned by Membertou Chief and Council and the Membertou Governance Committee, and funded by the Atlantic Aboriginal Economic Development Integrated Research Program to investigate methods by which Membertou First Nation can further increase its decision-making power over economic development. Membertou has made significant economic strides but increasingly struggles against the limits of Canada’s Indian Act, especially in terms of land management. Without a well-understood, reliable, and transactionally efficient land regime, the First Nation cannot achieve its community development goals. In fact, recent experiences with commercial and residential development have underscored the insufficiency of Indian Act protocols and the limits on “work-arounds” Membertou has used to avoid those protocols. A wholly new approach is needed. Membertou’s leadership has made the decision to participate in the Framework Agreement on First Nation Land Management as a means of opting out of the lands-relevant portions of the Indian Act. This project emerges from that decision and addresses the following questions: What more does the nation need to do at the level of band governance to implement the Framework Agreement? What institutional and legal infrastructure is needed to support First Nation-led land management? What might Membertou learn from other First Nations that are managing their own lands (under the Land Management Act or other arrangements such as self-governance agreements, treaty settlements, and comprehensive land claims)? What are the preferences of the Membertou community in terms of land management arrangements?